• Shower One king bed and two single beds in the half attic above; a perfect miniature bedroom loft for children and teenagers. 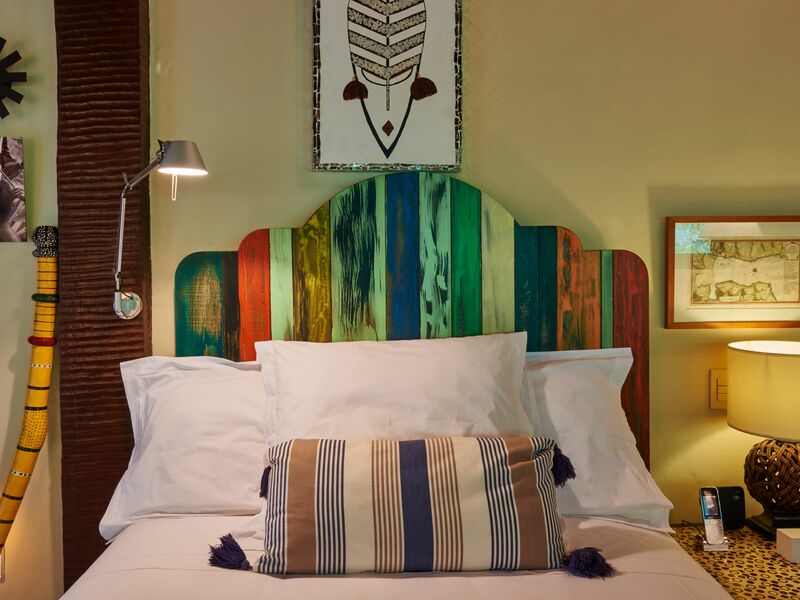 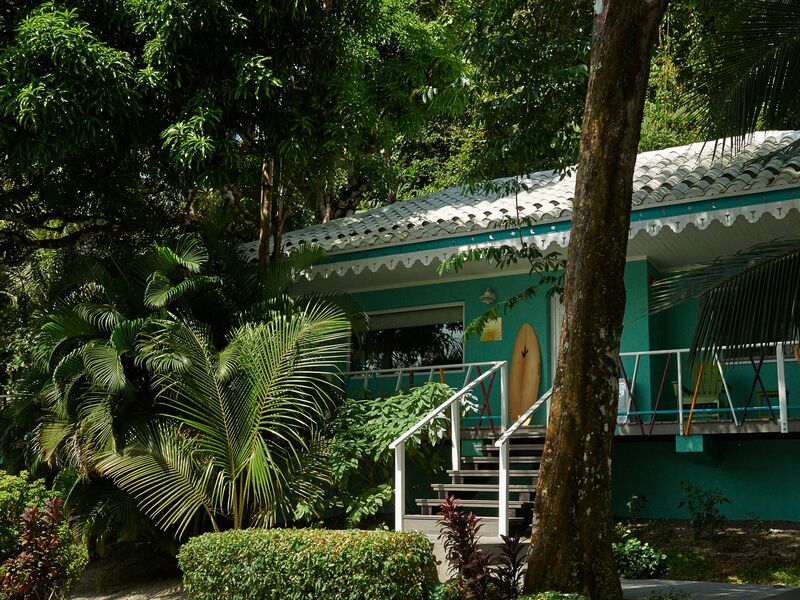 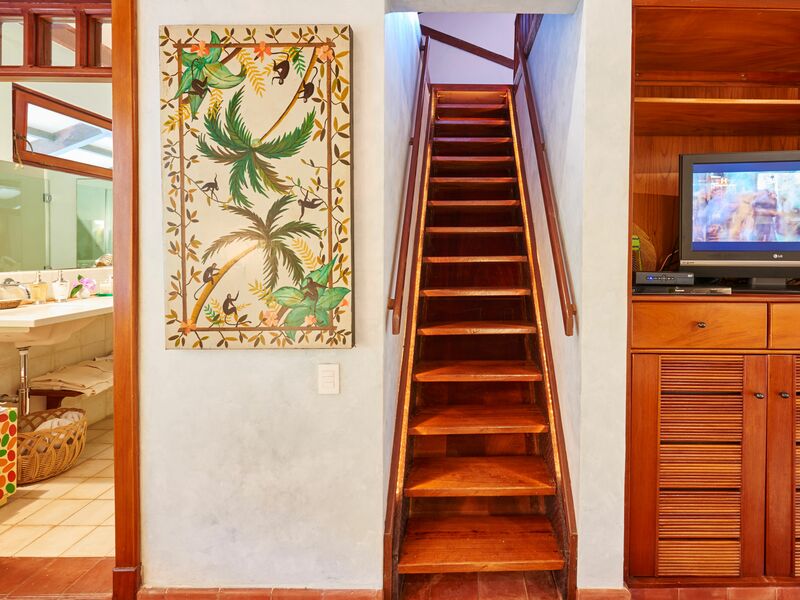 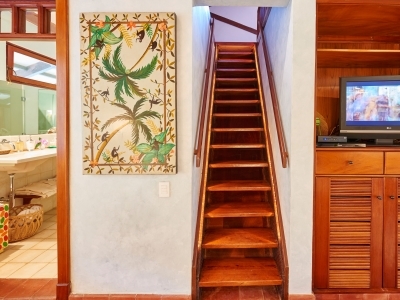 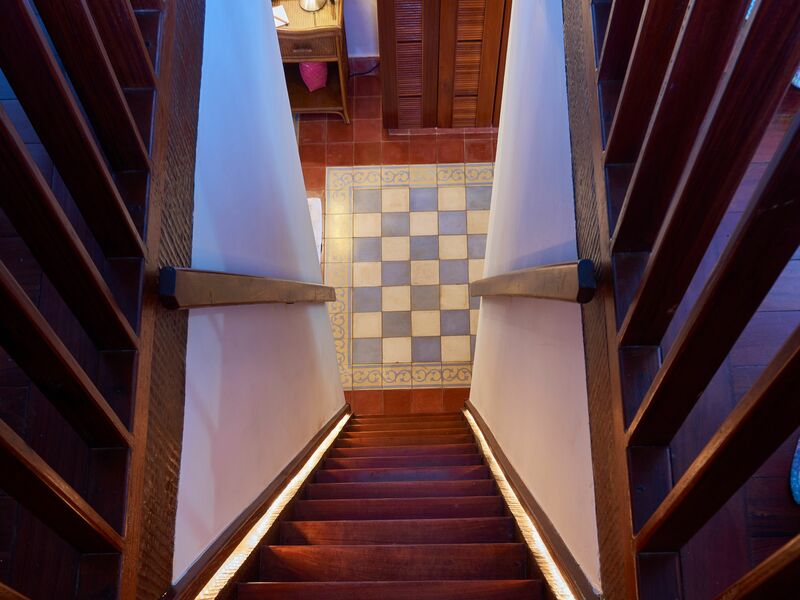 Local art, wood and colonial hand crafted ceramic tiled floors that create the perfect atmosphere to disconnect and enjoy. This suite is augmented by a spacious common terrace with exhilarating views of the jungle and the bay. 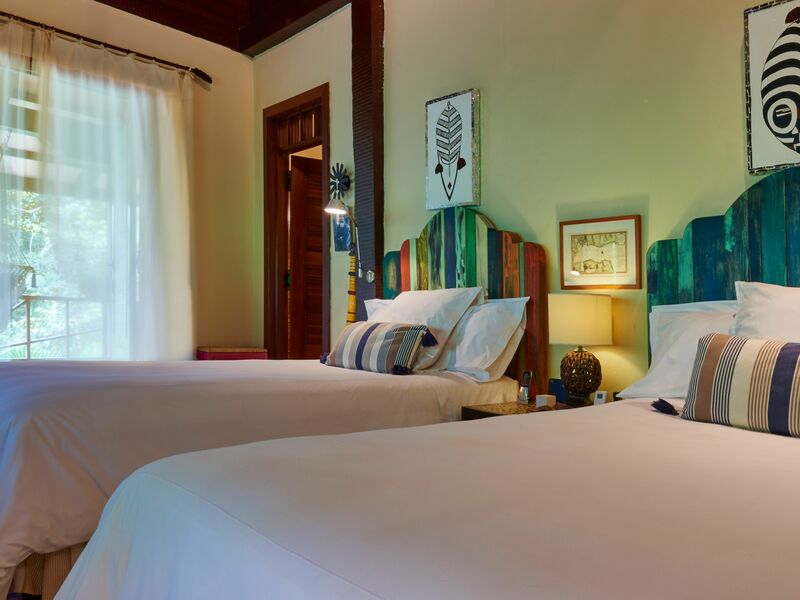 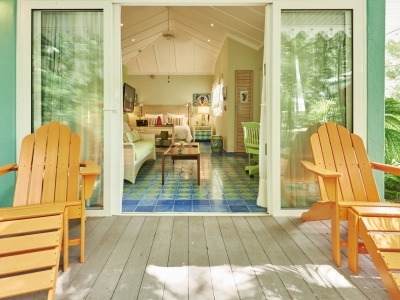 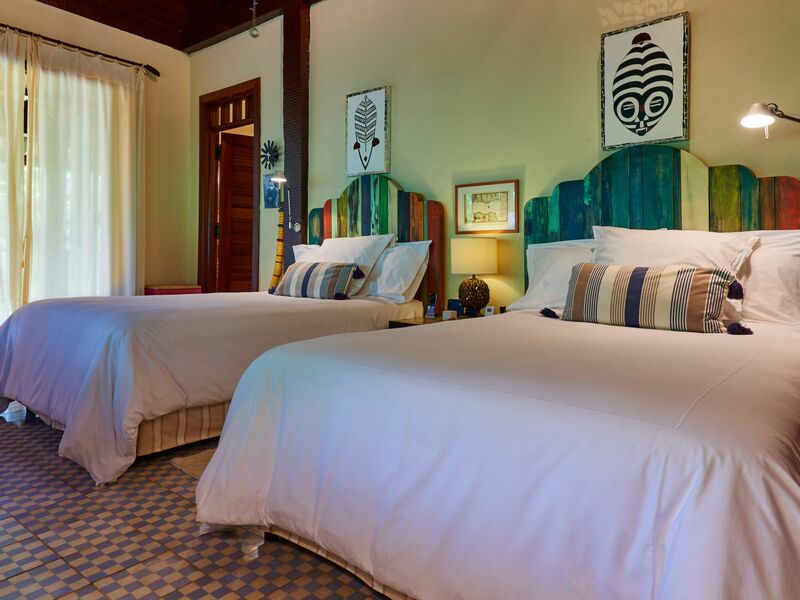 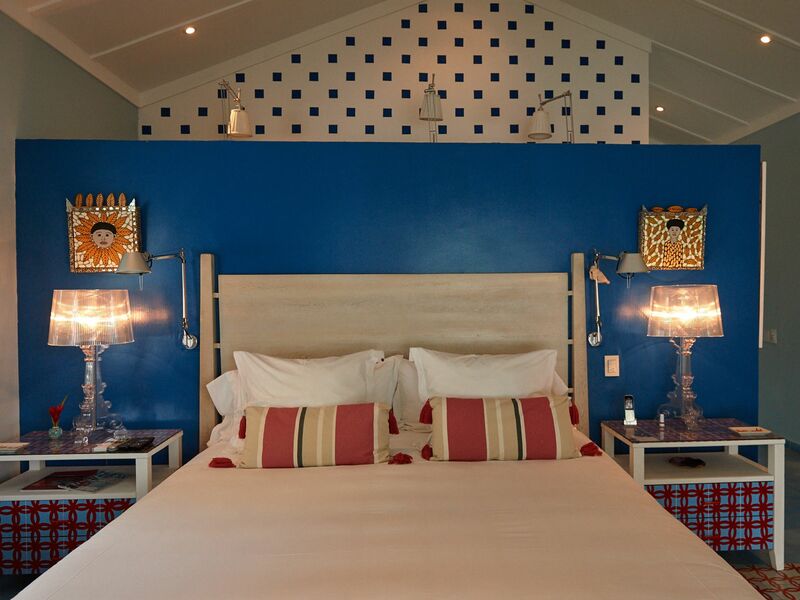 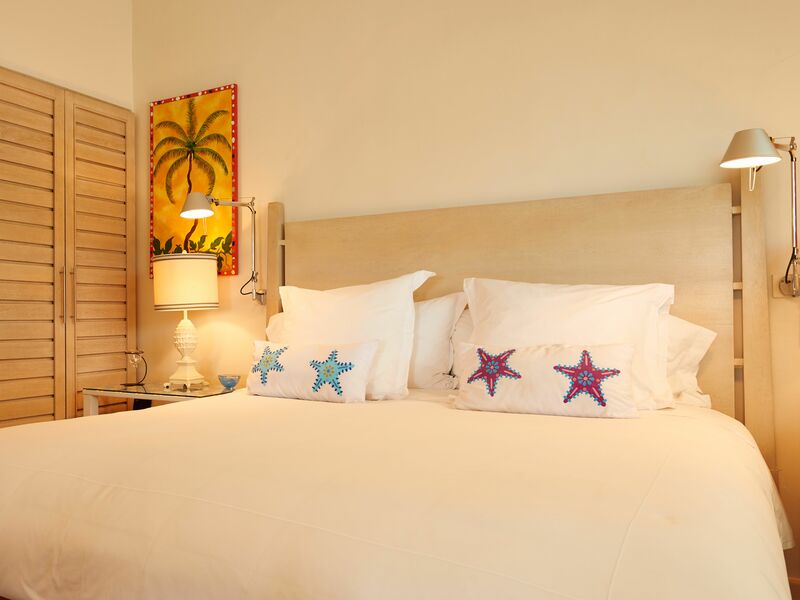 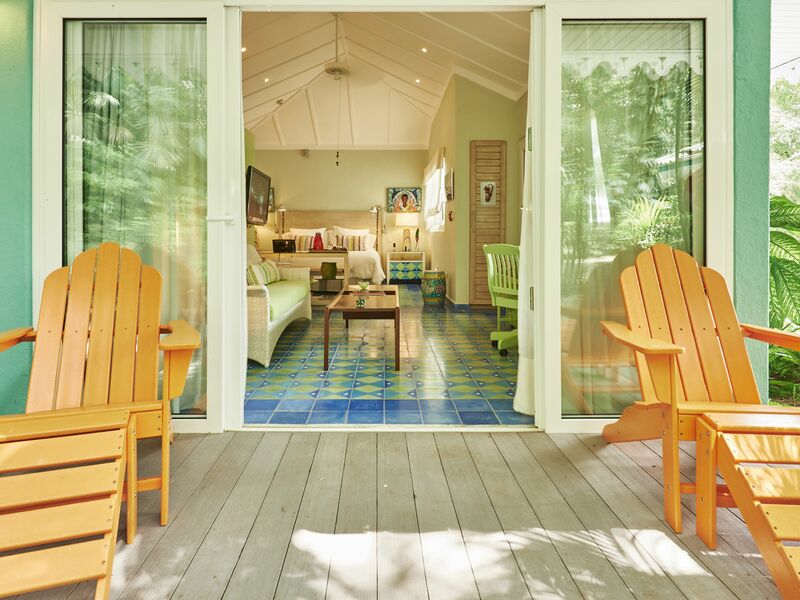 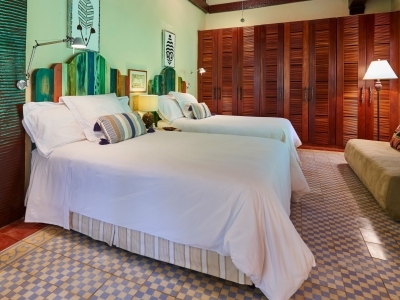 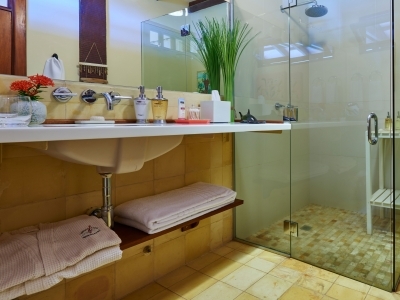 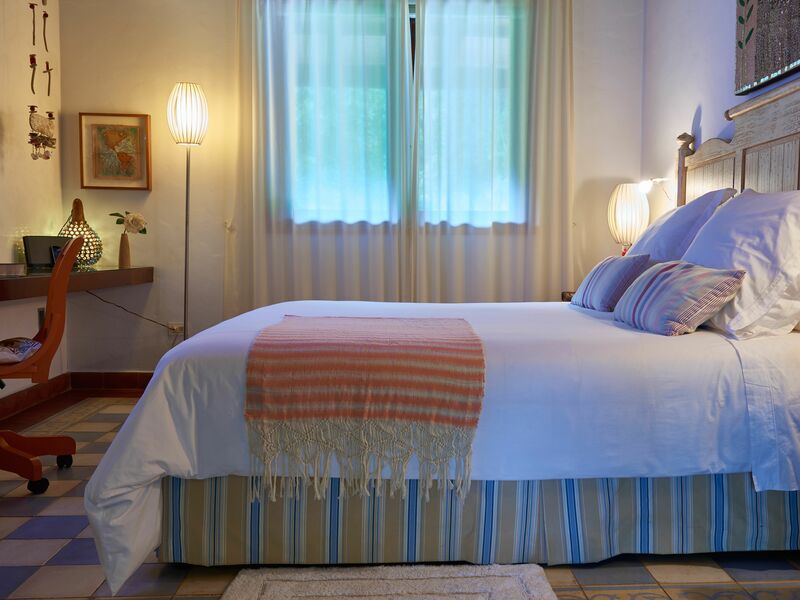 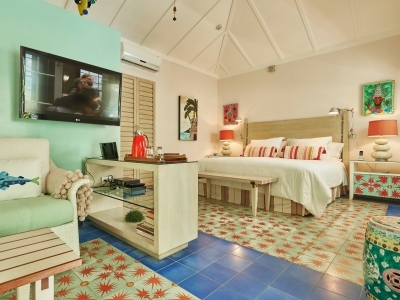 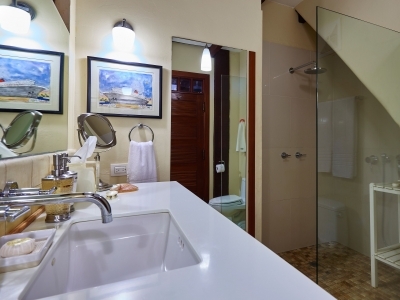 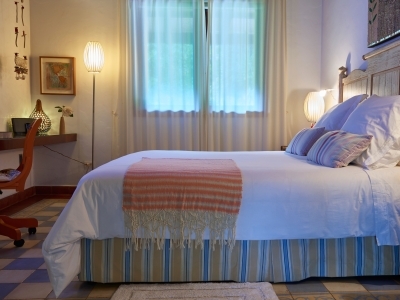 • Shower Two full beds (double/double) Colonial style, combined with wood and hand-crafted ceramic tiled floors. 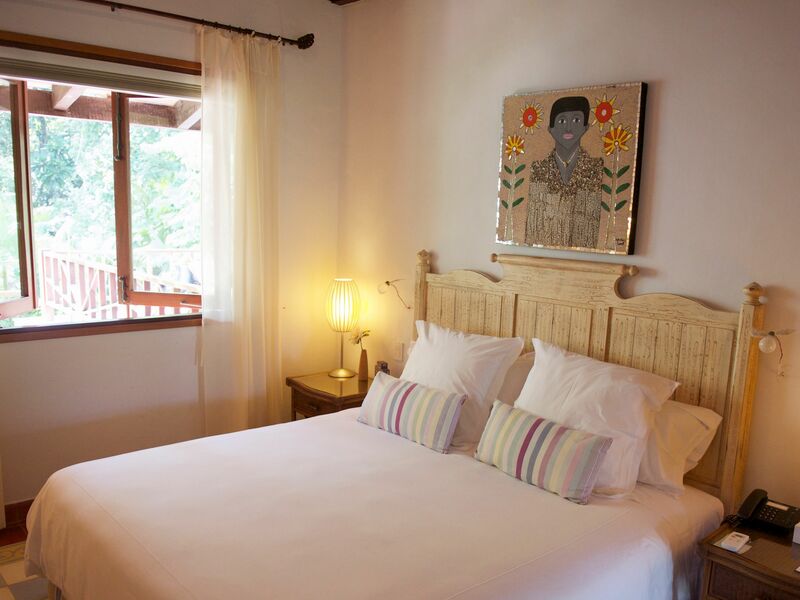 Influences of African culture. 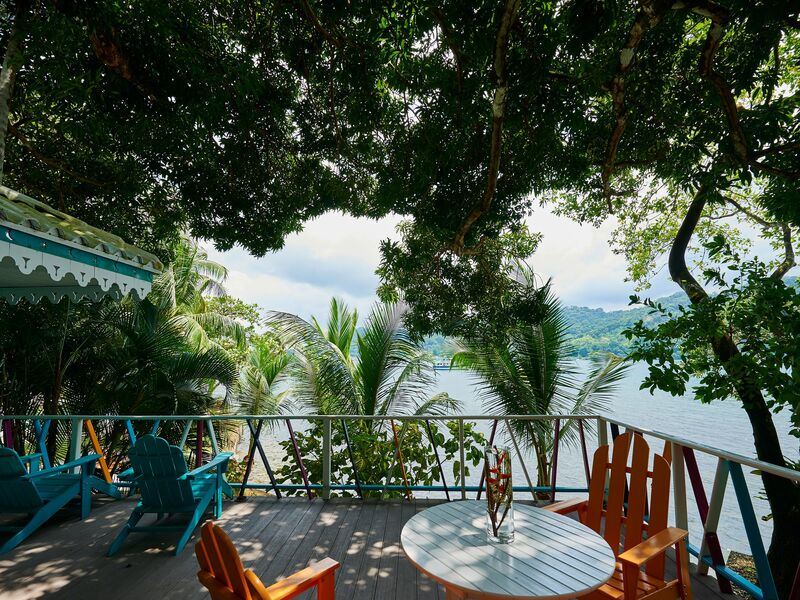 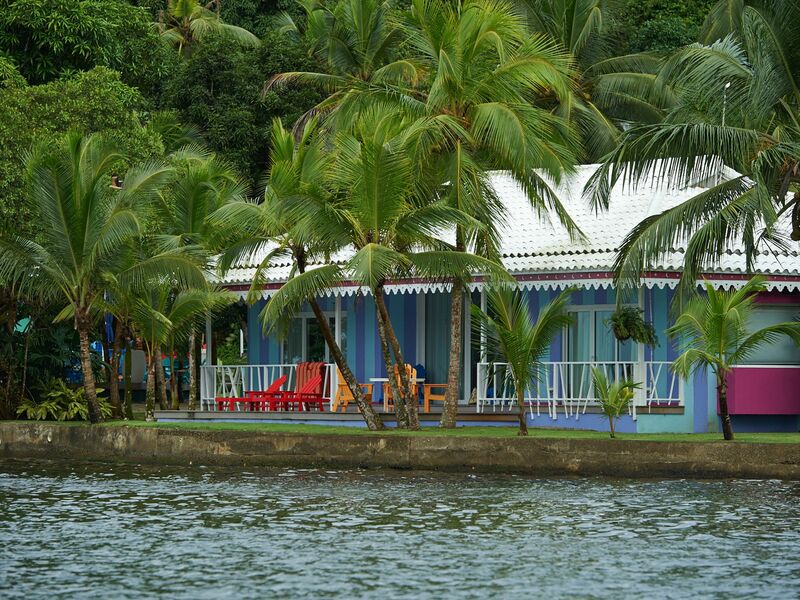 Waiting on the terrace, just outside your door, is a hammock and one of the most unforgettable views of Portobelo Bay. 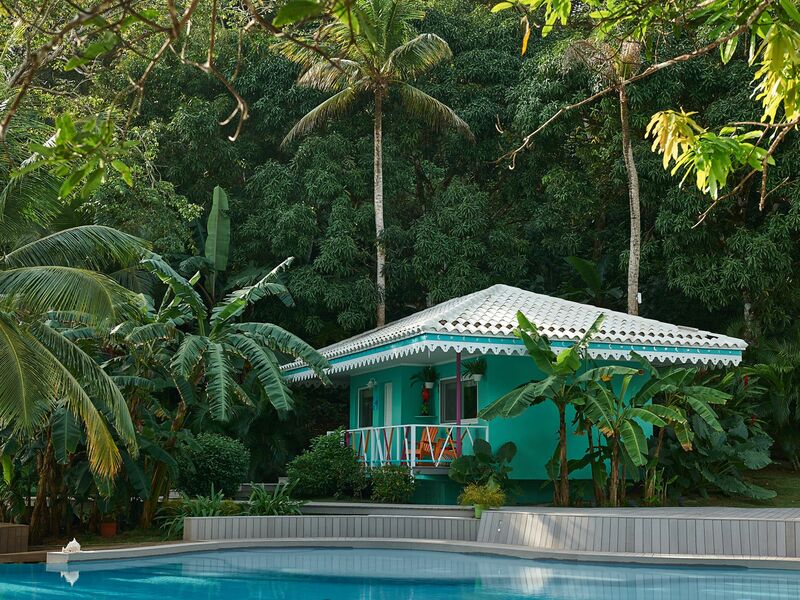 • Contemporary sculptures and art Nestled between a relaxing waterfall and the rain forest, with terraces overlooking Portobelo Bay, the Forest House displays samples from local workshop artists, "molas" (decorative fabric art originals) created by Kuna Indians and a quaint collection of Turkish caps. 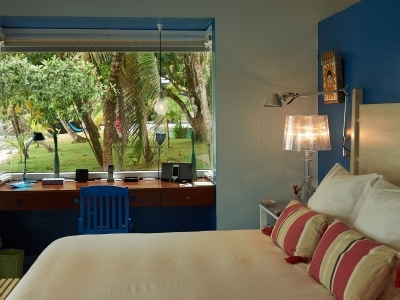 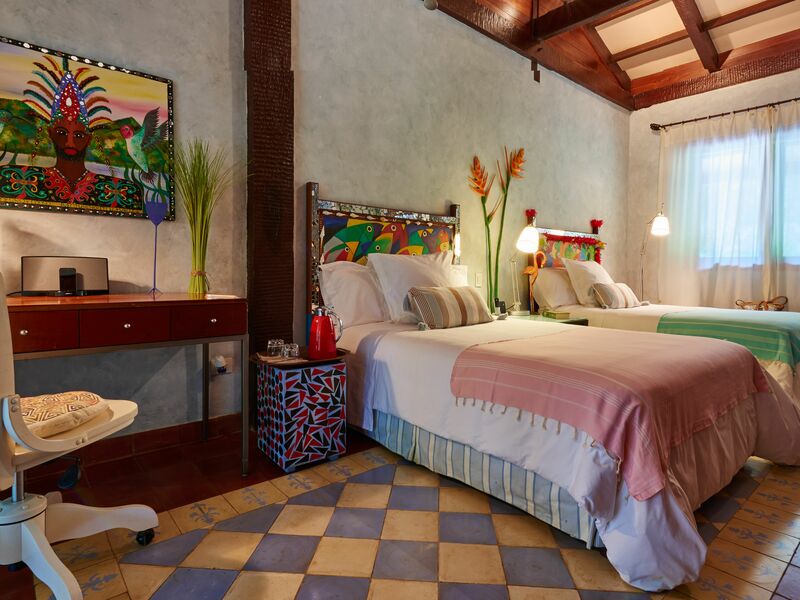 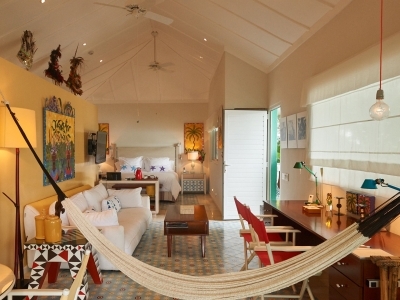 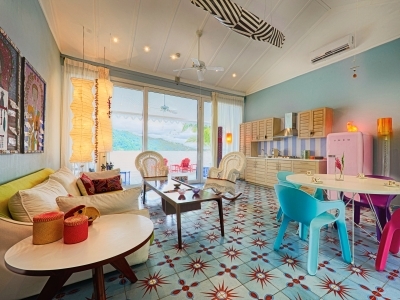 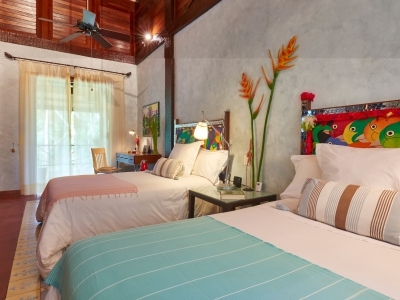 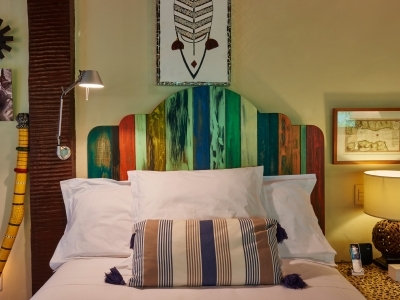 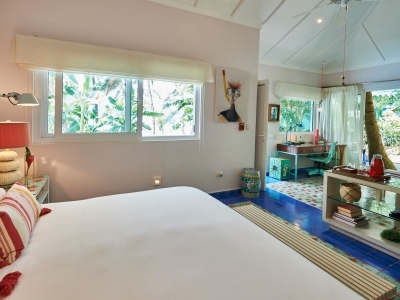 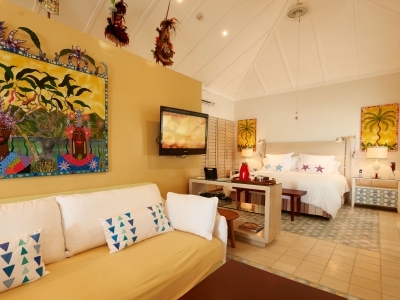 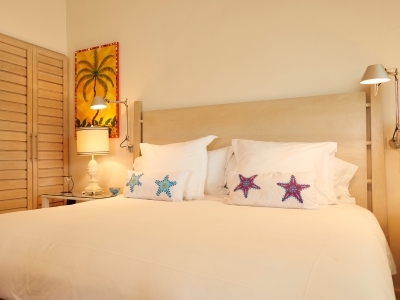 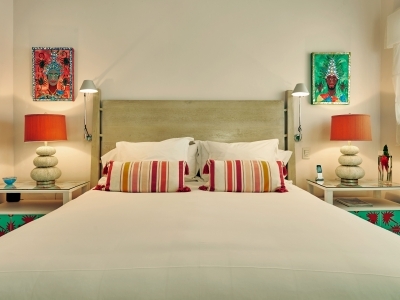 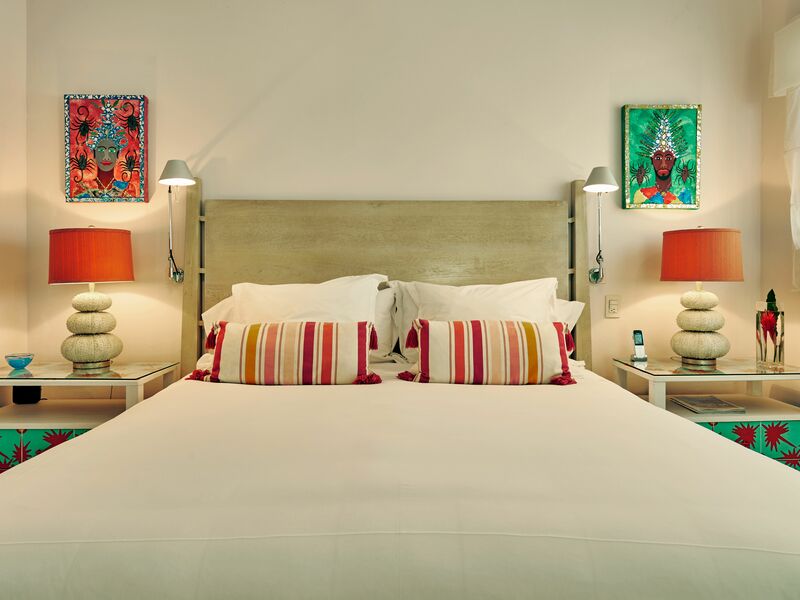 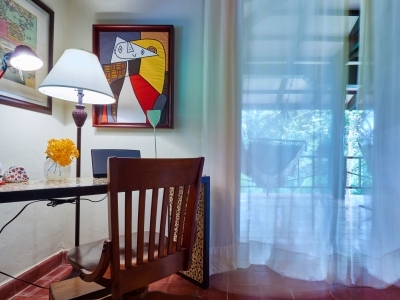 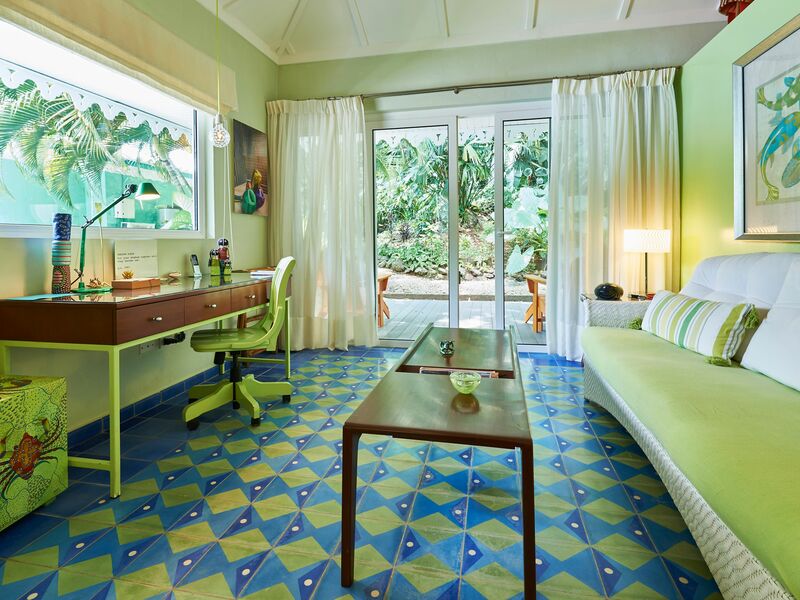 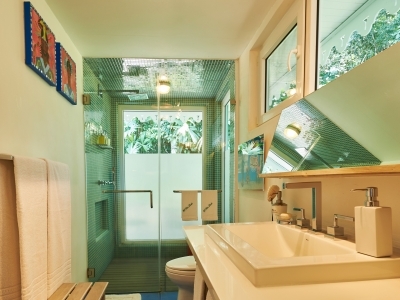 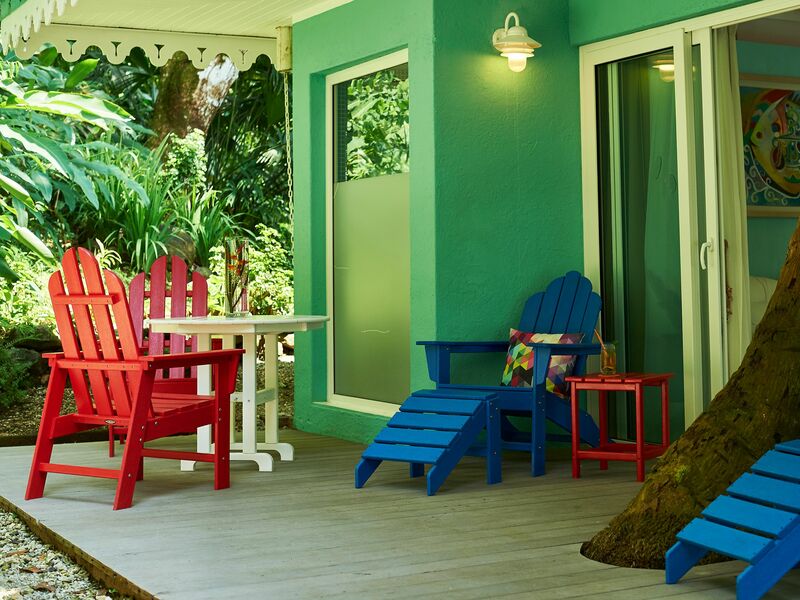 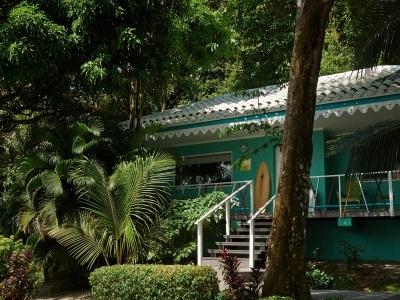 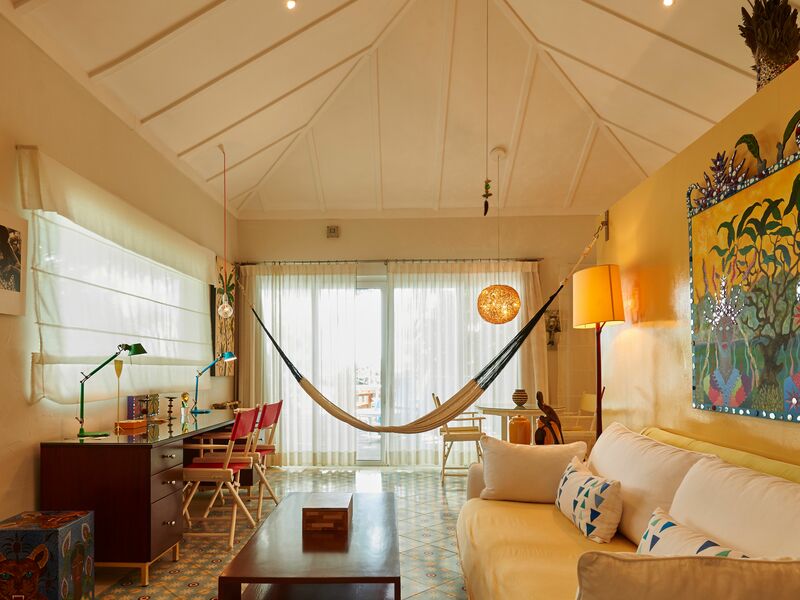 • Contemporary sculptures and art Light flows through its 65sqm Caribbean style. The Sea House projects a space that is as attractive as it is happy. 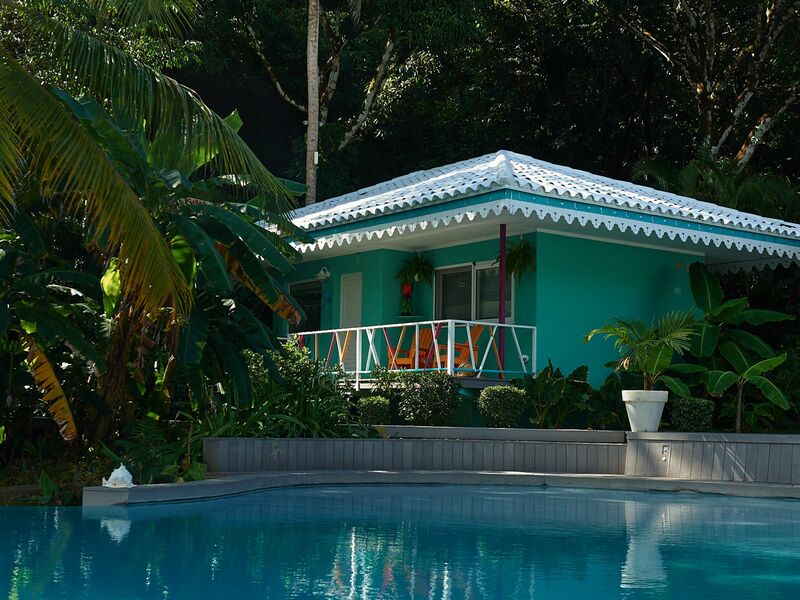 Thanks to its exceptional location, one?s stay is converted into pure energy though the stimuli that it receives from nature, and from its terraces overlooking the jungle and bay. The interior decor is highlighted by a collection of African masks made from recycled plastics, in a genuine representation of Arte Povera. 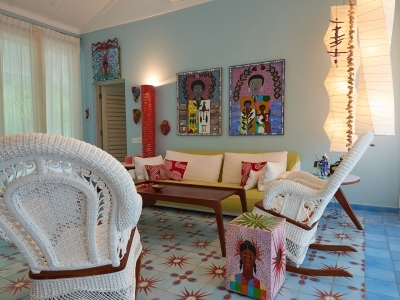 • Contemporary sculptures and art At the edge of the rainforest, with exceptional views of the bay from its two terraces, this house of 95sqm, exclusive privacy and all the elements for maximum comfort is decorated with a collection of Congo headgear, with paintings by local artists of the Portobelo Workshop, and with evocative photographs of Sandra Eleta, one of Panama?s most recognized contemporary creators. 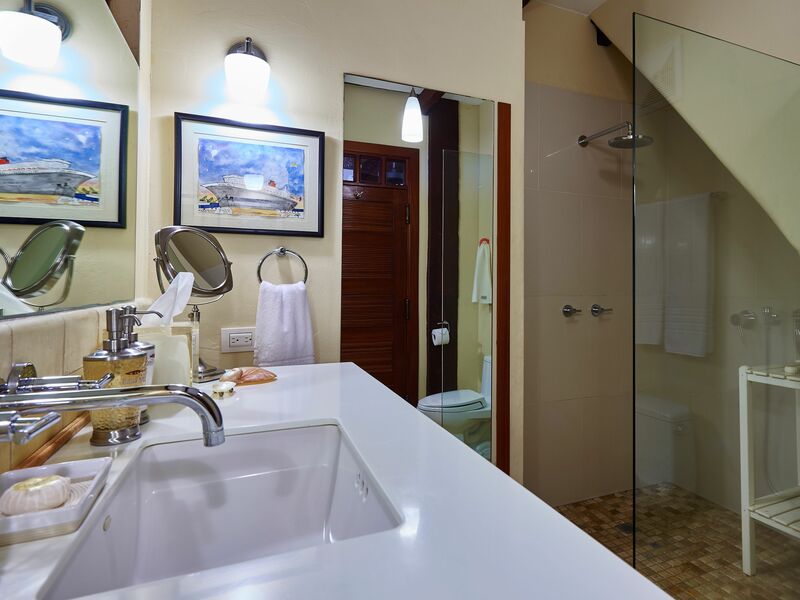 The house also provides a kitchenette equipped to meet your needs. 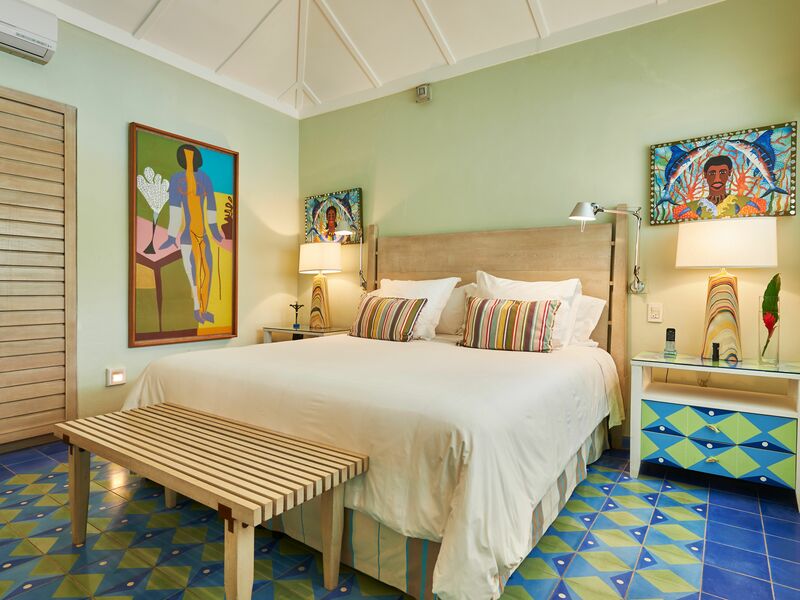 • Penhaligon Bath Amenities Decorated with samples of sculptures and art from the Portobelow Workshop and indigenous handicraft made by Kuna and Embera Indians. The Spirit house, touching the sea with its 215 m2, is divided into a living room and two individual suites, each with a bathroom and unique views of the sea bay from the terrace. It has been decorated with a peculiar design, displaying also here samples of painting and sculpture created by artist from the Portobelo Workshop, indigenous handicraft made by Kuna and Embera Indians, and European art, such as the sculptures by Juan Mata, together with contemporary photography.